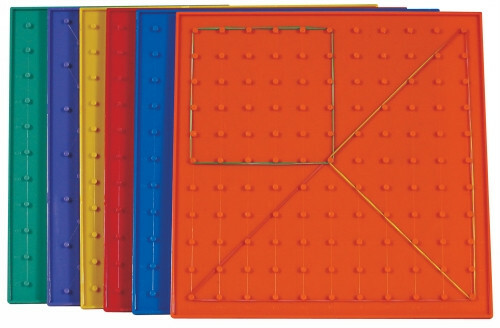 Set of 6 x 23cm geoboards. 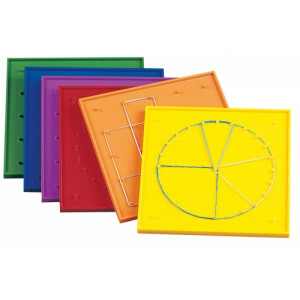 These colourful isometric 230mm double sided geoboards have an 11 x 11 pin grid array on one side and an 11 x 11 triangular pin grid on the other. Each set includes 6 coloured boards and 120 elastic bands. 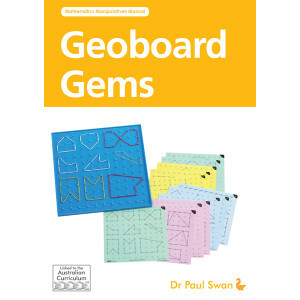 Ideal for developing knowledge of coordinates and spatial ideas. Teacher notes and activity guide is included.